A cloud is an aerosol comprising a visible mass of minute liquid droplets, frozen crystals, or particles suspended in the atmosphere above the surface of a planetary body. The droplets and crystals may be made of water or various chemicals. 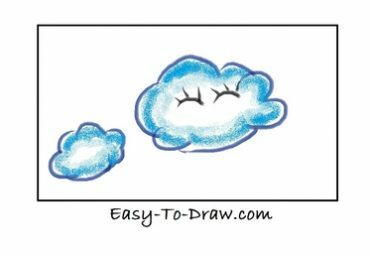 On Earth, clouds are formed as a result of saturation of the air when it is cooled to its dew point, or when it gains sufficient moisture (usually in the form of water vapor) from an adjacent source to raise the dew point to the ambient temperature. 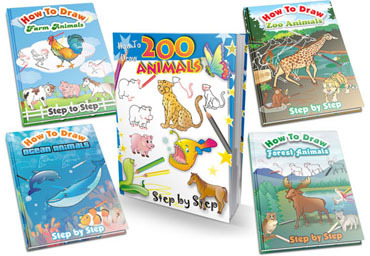 They are seen in the Earth’s homosphere (which includes the troposphere, stratosphere, and mesosphere). Nephology is the science of clouds which is undertaken in the cloud physics branch of meteorology. Here are the steps to draw Cartoon Clouds. Enjoy! 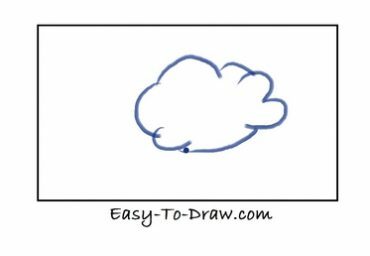 Step 1: Draw the outline of the first big cloud. 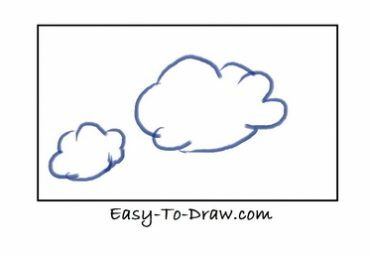 Step 2: Draw the outline of the second small cloud. Step 3: Color the outline of the clouds blue. Step 4: Add another light blue layer inside the clouds. Step 5: Draw two narrowed eyes with eyelashes for the big cloud. Step 6: Draw a red smiley mouth on the big cloud. 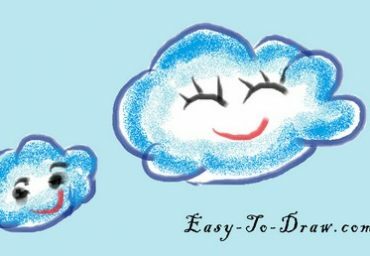 Step 7: Draw two round eyes and a smiling mouth for the small cloud. Step 8: Color the background light blue, so it looks like sky. The weather is sunny and bright. White clouds up in the sky. White clouds, puffy and dry. The weather is rainy all day. Gray clouds up in the sky. Dropping rain from up high. 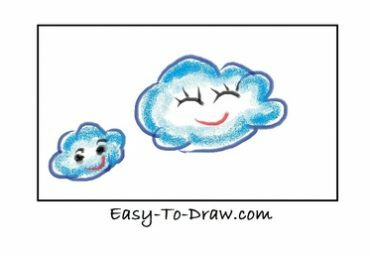 Clouds Video Drawing Tutorial for kids!